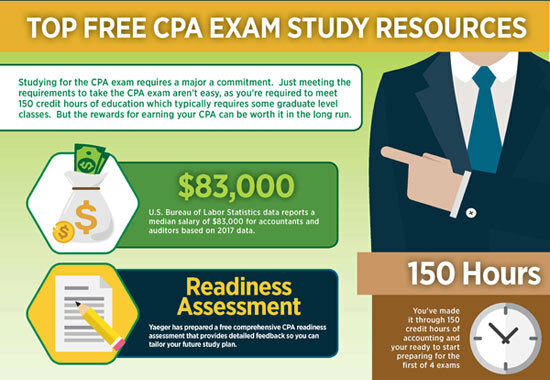 Making use of the free AICPA practice exam is one of the most effective study resources for the CPA Exam. The AICPA publishes four tests that cover each section of the CPA exam. 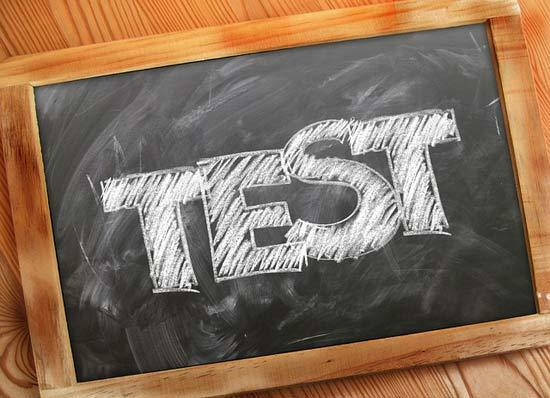 Each test section covers all question types you will see on exam day and mirrors what you will see on the actual testing environment computer screen. This article explains what to expect on the sample test and how to most efficiently combine the AICPA sample test with your CPA study plan. What to Expect on the AICPA Sample Test? When is the Best Time to Use the Sample Exams? 3 task based simulation testlets. 2 task based simulation testlets. The AICPA questions represent actual questions used by the AICPA on past CPA exams. The test format matches the parts and sections of the real CPA exam. However, no question included in the AICPA mock exam will be an exact question you will see on the CPA exam. You will see questions on the AICPA test that look very similar to the questions you will see on exam day. This is why taking a practice is incredibly valuable as part of your study plan. Each question has a full and detailed answer explanation that you can review for any missed questions. The other critical element of the AICPA practice exam is that the exam format mirrors what you will see at the Prometric test center when you select a testing window. This means that your test screen allows you to view the same resources when tackling the task based simulation questions on the exam. AICPA Professional Standards (in AUD section). FASB Codification (in the FAR section). Tax Code (in Reg section). All users have access to a limited version of excel and word on the sample tests. This provides the same limited functionality you will see on exam day. You can access this screen by pressing the help button inside the sample test screen. The bigger question is when does it make the most sense to utilize the free sample tests. You could take the sample test at the beginning of your exam prep. This gives you the benefit of seeing where you stand on day 1 of your studying and gives you a sense of how much progress you need to make in order to pass the exam. However, I really don’t recommend using the AICPA sample exams at the beginning of your study plan. The reason is your not really going to be prepared to sit down for a full 4 hour exam and get the most value from the exam feedback that early in your study plan. The other issue is that the AICPA only offers one version of each exam section. If you take the exam early in your studying and then re-take it later, the exam questions won’t be new to you and your ability to accurately answer the questions will be biased on having already seen the questions. So it really won’t be a good indicator of your readiness to take the exam. I believe the best time to take the AICPA mock exam is within the last month prior to when you sit for that section of the CPA exam. There are a few reasons this is the best time to use the exam. After studying for a few months prior, your exam endurance will start to peak. Sitting for a four hour exam is a little bit like regularly working out at the gym. Over time and after many repetitions, your body and mind will gradually build up the ability to stay focused on CPA exam questions for a longer period of time. When you take the practice exam during that last month, your actual performance will be much closer to what it will really be on exam day. So your performance and results on the practice exam will be a more accurate reflection of how you might do on exam day. It will also give you timely feedback on any areas where you still need to improve. In order to pass a section of the CPA exam, you need a minimum score of 75. The CPA exam scoring scale ranges from 0 to 99, but a 75 score does not represent the same thing as answering 75% of the total questions correctly. Your final score on the CPA exam is calculated based on the relative difficulty of each question you answer correctly. On all four exam sections, the multiple choice questions represent a 50% weighting of your final score. However, the actual questions you will see on exam day vary based on whether you answered the last question correctly. All CPA candidates will start with a moderately difficult question. If you answer the first multiple choice question correctly, you will see a harder question. If you answered that first multiple choice question incorrectly, you will see an easier question. Harder questions will have a higher weighting than easier questions on your final score. This means that your ability to answer harder questions will make the biggest difference for whether your final score exceeds the 75 minimum score. When your ready to take the AICPA mock exam, click here. The one limitation of the AICPA practice exam is that it only gives you one set of questions. You don’t have the opportunity to regularly practice very hard exam questions, which are the question types that have the most weighting towards your final score. Since the CPA exam is graded using an adaptive learning platform, it only makes sense to prepare for the exam using the same approach. Surgent offers one of the most advanced adaptive learning platforms. Students take an initial pre-assessment exam to get a full picture of their strengths and weaknesses. Surgent’s algorithm then creates a study program intended to address your weaknesses by topic area. The reason this is so powerful is because it actually reduces your total study time. Rather than follow a generic study program that covers all topics, you follow a study plan that spends the most time on topics that are specifically relevant to your current strengths and weaknesses. You can also read our full review of Surgent. Another highly appealing option is Universal’s dedicated test bank. What is unique about this product is you can purchase it without purchasing a larger and more comprehensive bundle course. Because of how the CPA exam is graded and scored, answering as many hard questions as possible is critical to your success on the exam. By pairing a supplemental test bank with an existing prep course, you have the ability of getting access to extra questions so you don’t risk running out of practice questions prior to taking the exam. Significantly lower cost option that traditional CPA prep courses. Question bank includes access to AICPA released questions from prior exams. Ability to select practice questions based on difficulty level, so you can focus on improving your ability to answer the hardest questions available. Audio ebook includes a step by step approach to answering questions rather than a simple text based explanation. To find out more about Universal’s dedicated test bank, click here. You can also read our full Universal review.